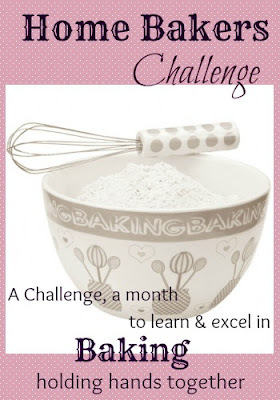 Priya & team initiated Home Bakers challenge. 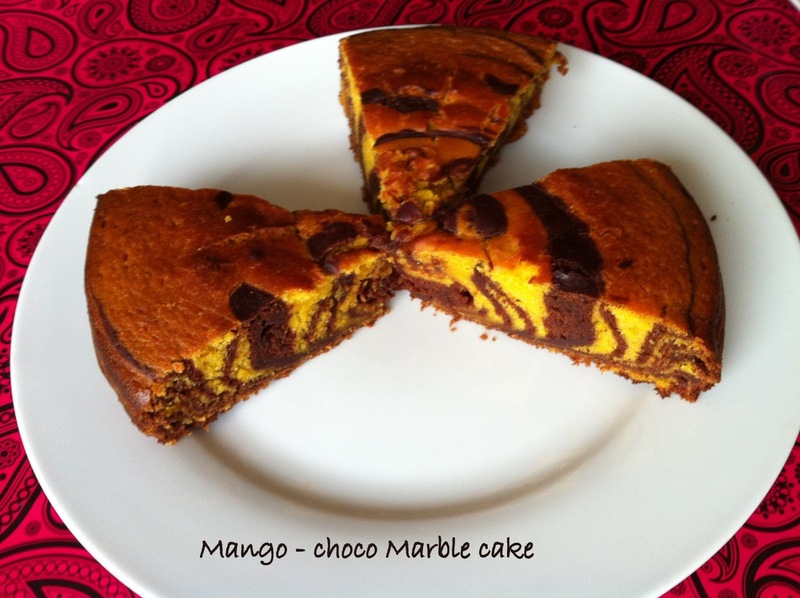 This is to encourage all the bloggers and Non-bloggers to try baking Dishes..For this month's HBC's challenge SangeeVijay picked Mango-Choco Marble cake and she gave two versions one is eggless and another one is with egg version...I choose egg less version...I am very happy to be a part of this team. Preheat oven to 350 degree Fahrenheit / Gas Mark 4 line the pan with parchment paper. 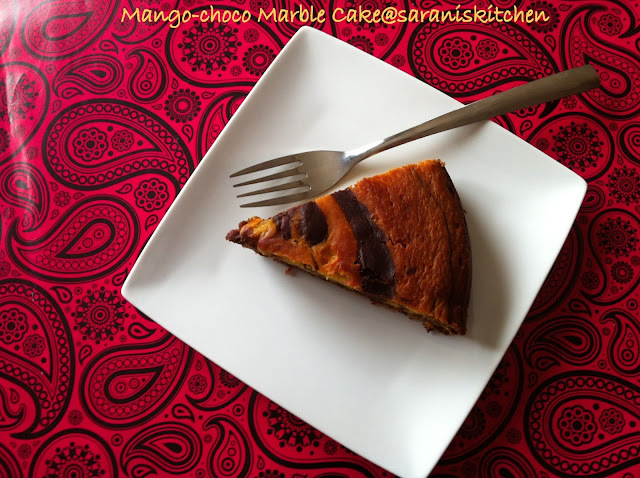 In a large mixing bowl, combine sugar,oil mix well then add mango pulp, milk, Buttermilk and vanilla extract mix well. In another small bowl, combine flour, baking soda, baking powder and salt mix well.Then add this flour mixture to the mango-milk mixture and mix until everything combine well. Now take a small cup, add cocoa powder and 2 tbsp warm water and mix well. Then transfer half of the mango batter to another bowl and add this cocoa paste and combine well. Now both mango batter and chocolate batter are ready. Then to the lined loaf pan, add mango n cocoa batter alternatively or simply fill with mango batter then add remaining cocoa batter in 3 small circles, make swirls as u like. Tap the pan gently to set the batter evenly and bake it for 40 minutes or until done(check by inserting toothpick which should come out clean). That looks beautiful Saranya :) Very well done! 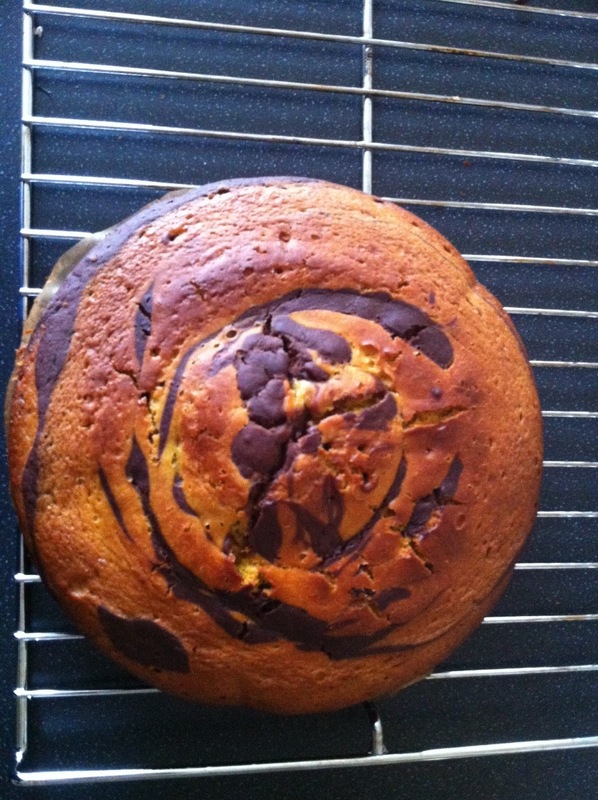 Super made cake, looks fab pattern. Awesome clicks Saranya!! The cake looks gorgeous! Such a beautiful marble cake sis, you have baked prefectly and beautifully. Delicious looks perfect and moist. wow..cake looks so soft n beautifully baked Saranya! loved its bright color..too good! Perfectly made cake, Saranya.. It looks soft and delicious..
luks perfect dear. soo moist.